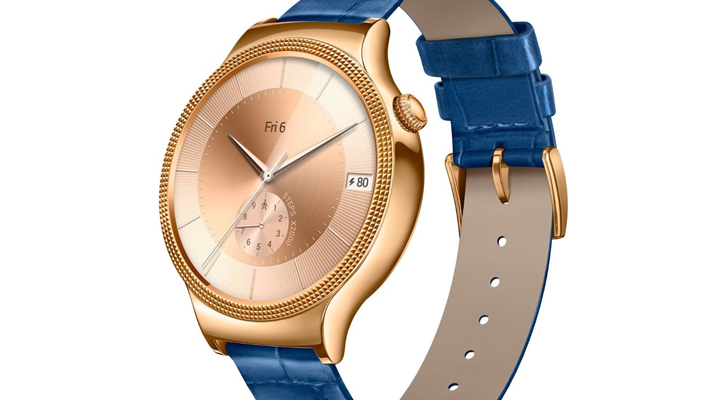 The Huawei Watch is generally regarded as one of the best AW watches currently available, but it usually commands a high price tag. Although the MSRP was originally $499, most models have lowered in price since release. 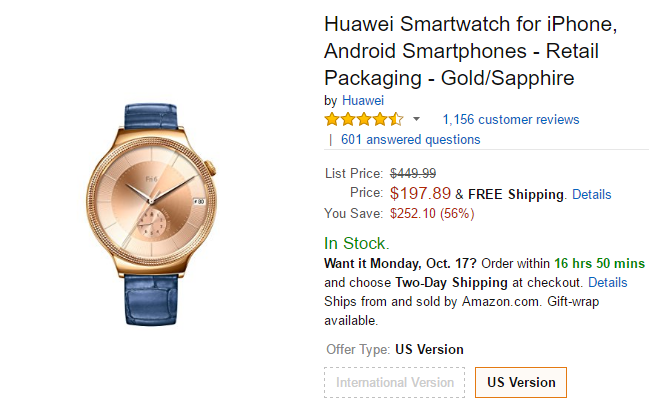 At least one of the versions, the Gold/Sapphire model, has finally dropped under $200. I'll be honest, that color combination doesn't look all that appealing to me, but swapping out the band is fairly simple. I recommend reading our full review if you are thinking about purchasing it, but in a nutshell, this is a pretty darn good watch. There is no 'flat tire' display (it's a full circle), a speaker for making/receiving calls, a sapphire display to resist scratches, and a great battery. The primary reason I would be weary of purchasing an Android Wear device right now is the future Android Wear 2.0 update. However, this is one of two watches currently receiving Developer Preview firmware, so it's a safe bet this one will receive the update when it is publicly released.